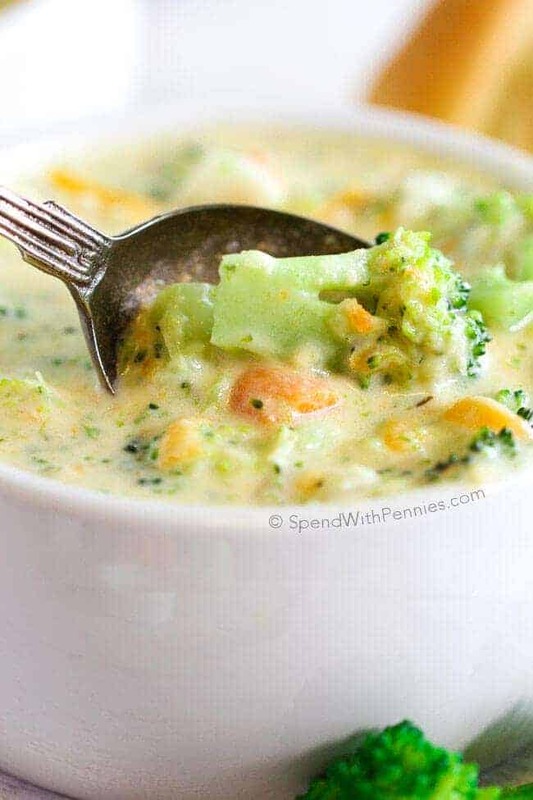 Broccoli Cheese Soup is one of our favorite quick and easy meals any time of year! Perfect for lunch, or an easy weeknight dinner with salad and loaf of french bread. 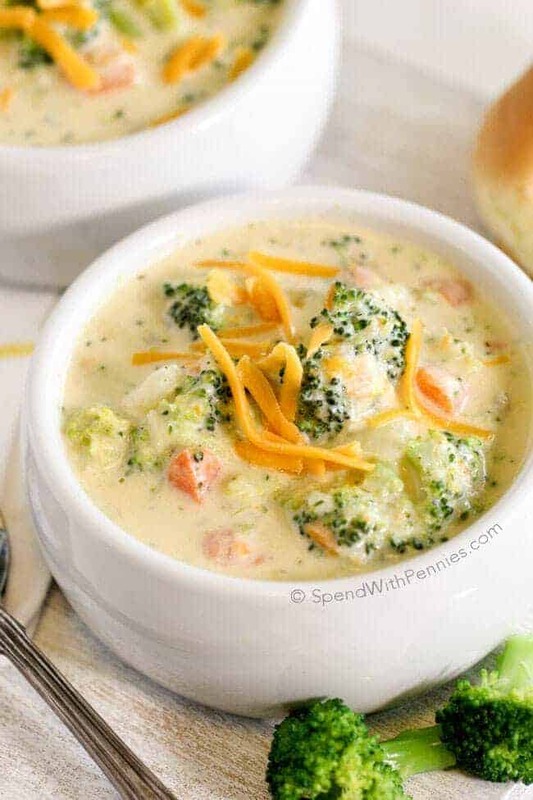 The best part is that this broccoli cheese soup is ready in 20 minutes start to finish! 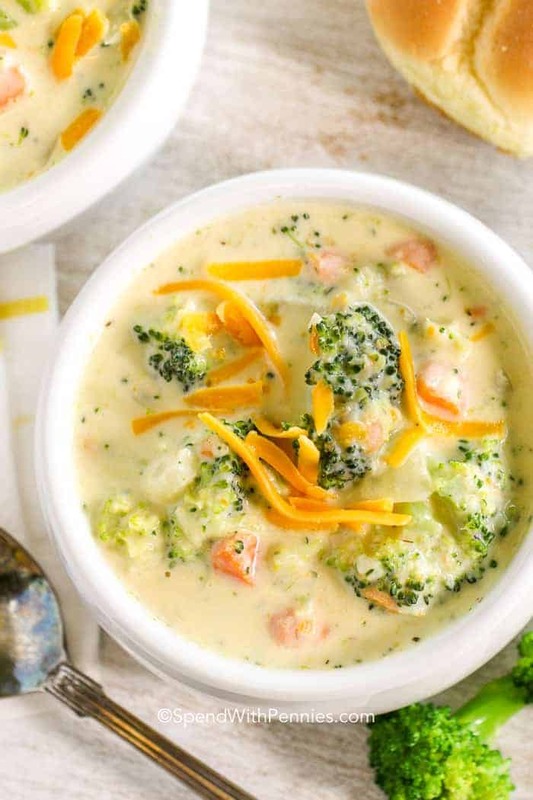 This Broccoli Cheese soup is one of our favorite quick weeknight meals! There’s just something amazing about a hearty bowl of soup in your belly to warm you from the inside out.. and even better when it takes just minutes to make! If you’ve ever been to Panera, you likely know that the Panera broccoli cheddar soup is so hard to resist! 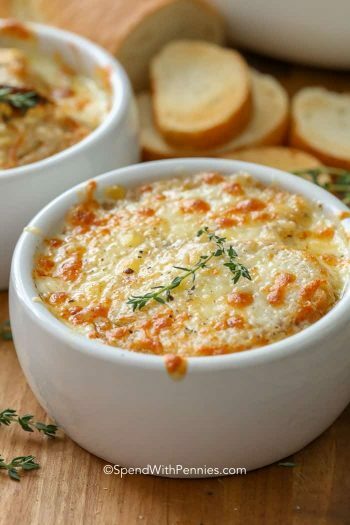 Rich, creamy and oh so cheesy, I definitely needed to come up with a yummy homemade version. 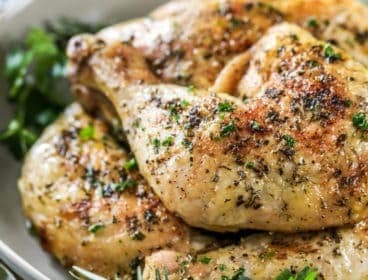 I love knowing that I can make a recipe from scratch using fresh ingredients in about 20 minutes; perfect for a weeknight dinner! 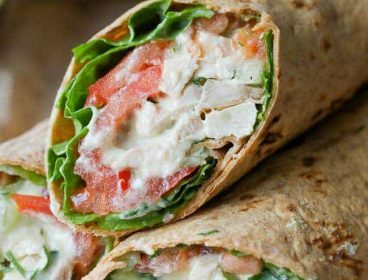 We serve it with a side salad and bread for a complete meal! This soup is also amazing served in a bread bowl (and it reheats beautifully for lunches). 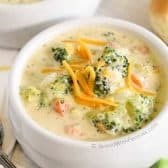 This broccoli cheese soup is made without Velveeta and instead is loaded with lots of real cheddar making it rich, velvety and satisfying! 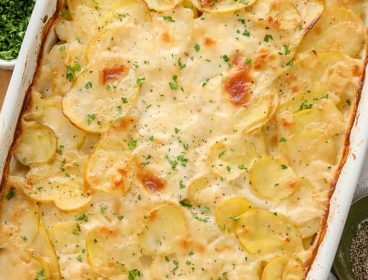 Using a sharp cheddar adds extra cheese flavor to this recipe. I love to use a sharp cheddar for a nice strong flavor, but you can use any kind of cheese you like. Gruyere is also wonderful in this broccoli cheese soup! You’ll note that the cheese is added in once the soup is removed from the heat. If cheese (or dairy) boils it can separate leaving a less than desirable texture. 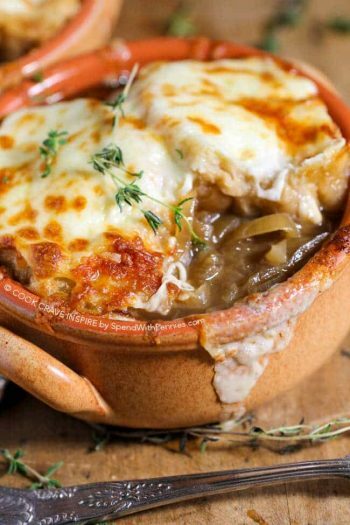 The soup should be plenty hot enough to melt the cheese to a perfect velvety consistency. Fresh broccoli gives the best results in this recipe, frozen can certainly be substituted if that’s all you have on hand. Instead of blending all of the veggies, I chop some and add them in after the soup is blended. This adds some extra flavor to the soup. When blending this recipe, you can use a typical blender (be sure not to have the lid on tightly or it can explode from the steam) but I find an inexpensive immersion blender or hand blender works perfectly plus you can do it right in the pot (less dishes is always a win in my books)! 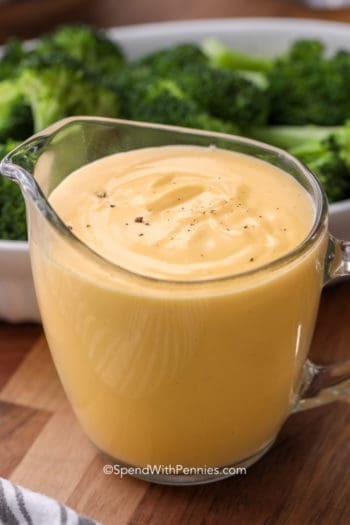 To make a skinnier version of broccoli cheese soup, you can substitute the cream with evaporated milk and use a light cheddar (sharp is still best for flavor). 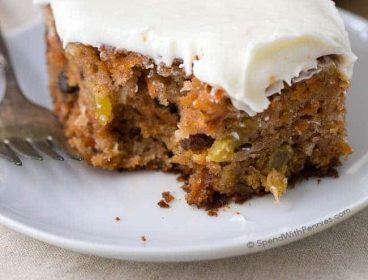 We top it with a sprinkle of pepper and sometimes a little dollop of sour cream. Easy Hamburger Soup: Loaded with vegetables, lean beef, diced tomatoes and potatoes. 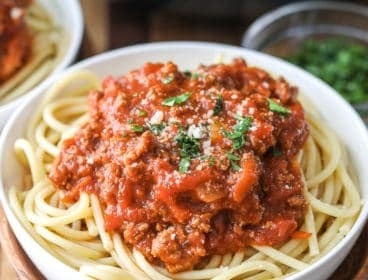 It’s great made ahead of time, reheats well and freezes perfectly. Chinese Beef & Broccoli Soup Tender beef, paired with broccoli in a rich spicy, flavorful broth. This soup totally hits the spot! Crock Pot Ham and Bean Soup: This “no-soaking required” Ham and Bean soup takes just minutes to prepare and cooks effortlessly in your Crock Pot all day long! Weight Loss Vegetable Soup: Completely loaded with veggies and flavor and naturally low in fat and calories it’s the perfect lunch, snack or starter! 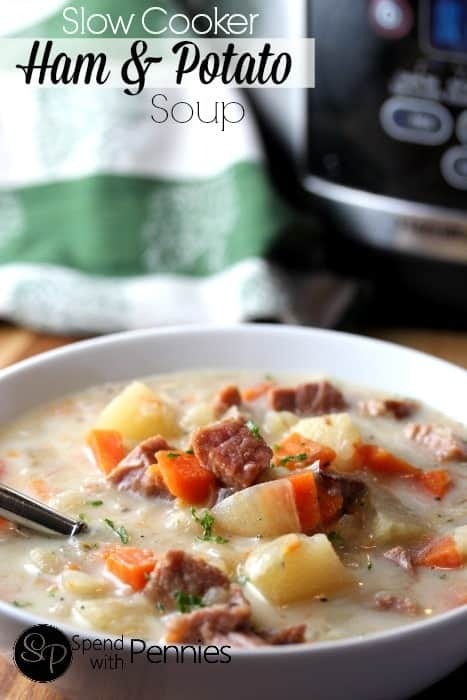 Slow Cooker Bacon Corn Chowder: Fresh vegetables, chunks of tender potato, and smoky bacon add so much flavor while the creamy corn base adds a touch of sweetness. 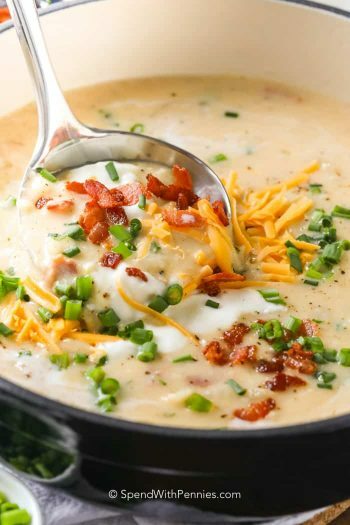 The perfect cool weather soup! Diary doesn’t tend to freeze well and it can sometimes become grainy or the texture can change slightly. I would suggest keeping this broccoli cheese soup in the fridge for up to 4 days. To reheat it can be microwaved stirring occasionally or heated on the stove over medium-low. We most often eat this broccoli cheese soup for lunch or a quick easy weeknight meal. 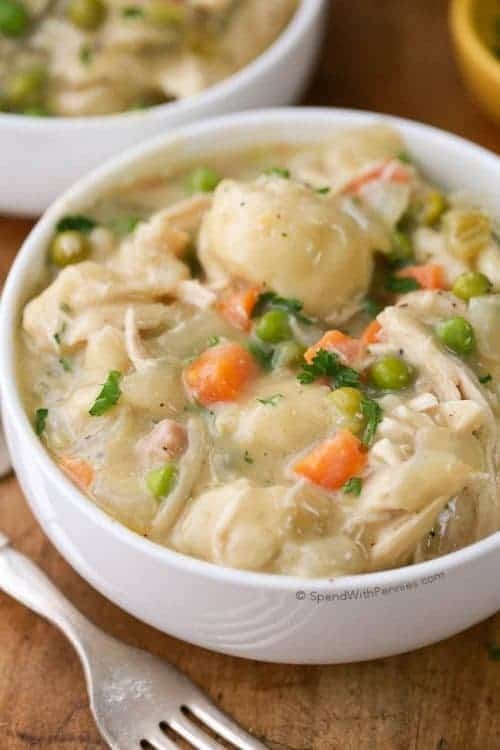 I like to add a side of 30 Minute Dinner Rolls to dip into the soup and sop up any dribbles left in the bottom of my bowl! It’s great served with a fresh garden salad on the side. Beef and Broccoli – Easy takeout at home! 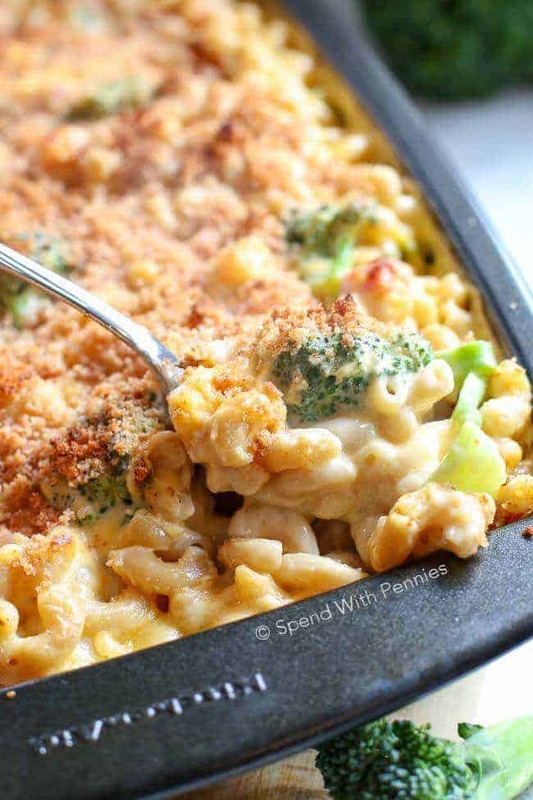 Cheesy Broccoli Cauliflower Casserole – No condensed soup needed! Lemon Oven Roasted Parmesan Broccoli – Quick 10 minute side dish! 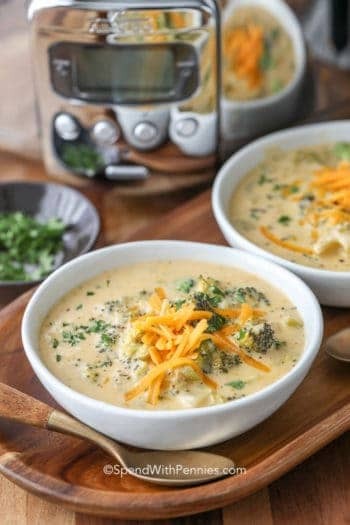 Broccoli Cheese Soup is an easy cheesy soup ready in 20 minutes start to finish! In a large saucepan, cook butter, onion and carrots over medium heat until onion softens (about 3 minutes). Add chicken broth, broccoli and seasonings. Simmer until broccoli is softened, about 8 minutes. 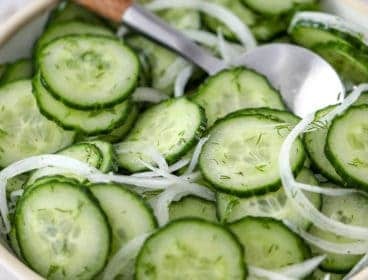 Remove 1 cup of vegetables, coarsely chop and set aside. Using an immersion blender, blend remaining vegetables and broth. Place flour in a small bowl. Add in cream a little at a time stirring until smooth. Bring blended vegetable mixture to a boil and whisk in cream mixture. Continue whisking until thick and bubbly, about 3-4 minutes.